SAVE THE DATES in MAY!! May 10, 1pm: back by popular demand, Eric Fidler will lead the Historic Walking Tour of LeDroit Park. Meet at the Arch (FL and 6th) for this amazing hour walk through history. May 13, 6:30pm: Neighborhood Happy Hour will be held at Shaw’s Tavern (FL and 6th). May 21, 6:30pm: Neighborhood Safety Walk. Meet at Ann Cooper Circle. 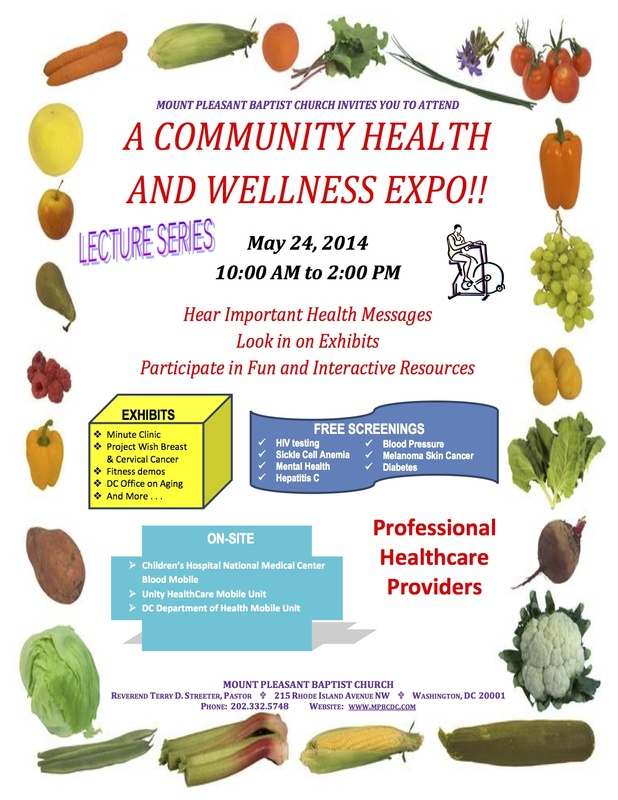 May 24, 10am-2pm: Mount Pleasant Baptist Church is hosting a “Community Health and Wellness Expo”. 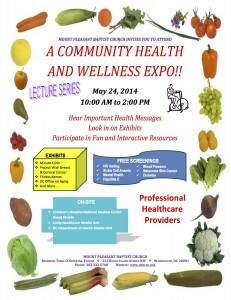 Come hear important health messages, utilize free screenings and resources, and participate in fun exhibits. The Expo will be held at Mt. Pleasant Baptist Church (215 Rhode Island Ave, NW). Previous articleCrime Prevention Training Info and Photos! !